One of the most famous northern-Italian restaurants in New York was Romeo Salta, off of 5th Avenue on West 56th Street. Named after its Italian-born chef-owner, who had risen to prominence in Hollywood during the 30s, the restaurant created a more formal style of dining that many others would follow. 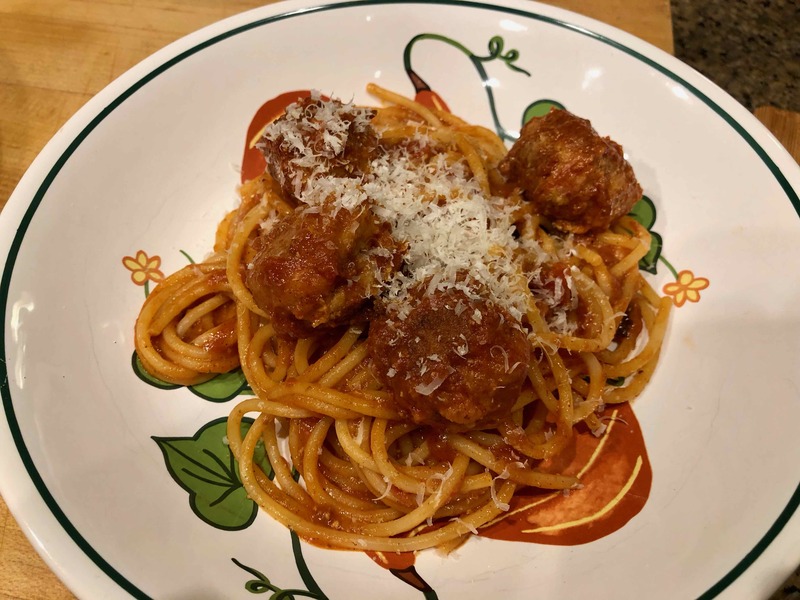 For those readers who would like to know more about the evolution of Italian food and restaurants, I recommend food-writer John Mariani’s book How Italian Food Conquered the World. 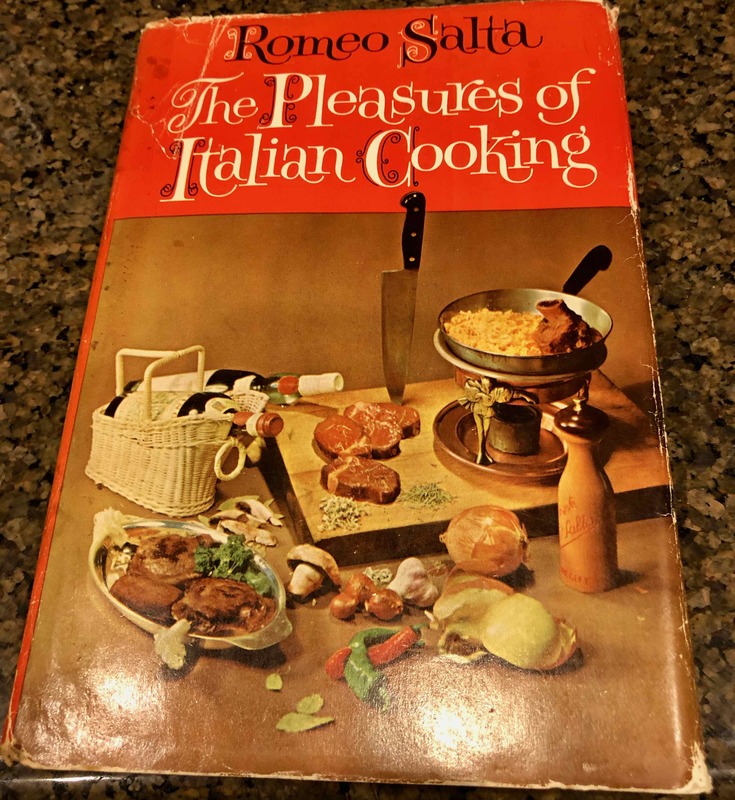 But for now, I would like to get back to what started me on this subject: Romeo Salta’s cookbook, The Pleasures of Italian Cooking. It was one of just a few books my aunt had ever purchased. Salta’s slim 239-page book was dwarfed on her small shelf by Ada Boni’s 1,053-page tome, Il Talismano della Felicita, my aunt’s go-to reference, on one side and by the 812-page American Woman’s Cookbook on the other. I remember paging through Salta’s as a kid, attracted by its extremely stylized, color photos of an antipasto platter accompanied by a mile-high pepper grinder, a risotto served in an elaborate chaffing dish, or a rich dessert lit by an ornate candelabra. Recently, out of nostalgia, I purchased a used copy of it and found only one recipe that I could recall my aunt making, chicken cacciatora. Ironically, it’s one of the least northern-style dishes in the book. And perhaps that is why it found its way to my family’s table. 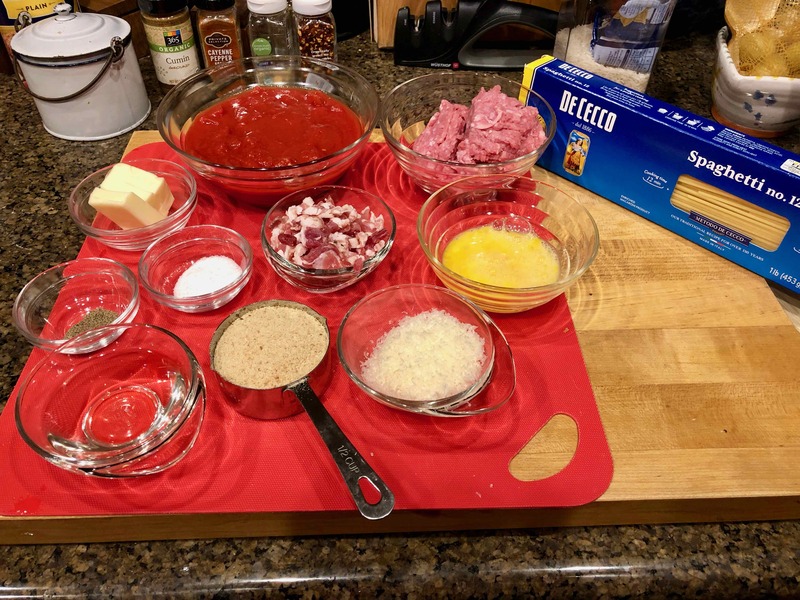 As had my aunt, I also chose to prepare one of Salta’s more southern-style dishes, which he titled Spaghetti Piatto Unico, Spaghetti with Veal Dumplings. 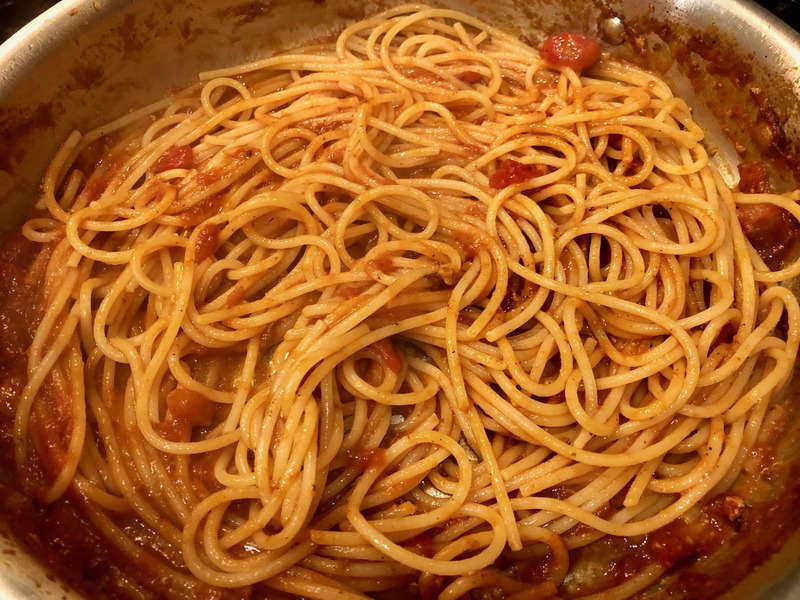 From the picture at the top of this post, you can see that this “piatto unico,” or “one-dish meal” is no more than spaghetti with meatballs. 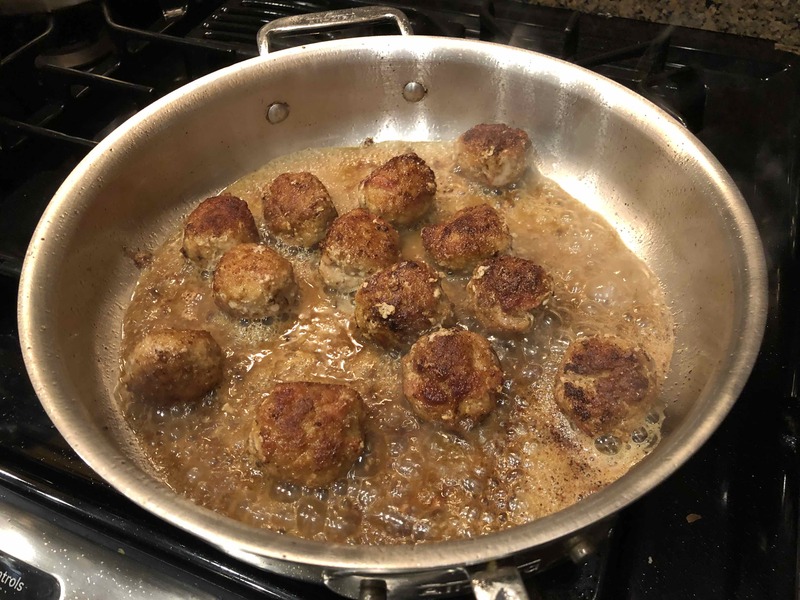 Apparently, many of Salta’s well-heeled and celebrity clientele had an occasional hankering for those good old southern-Italian favorites, to which the enterprising restaurateur readily catered. Interestingly, Salta’s version of this Italian-American standard is much lighter than most. In his northern style, he uses no olive oil. 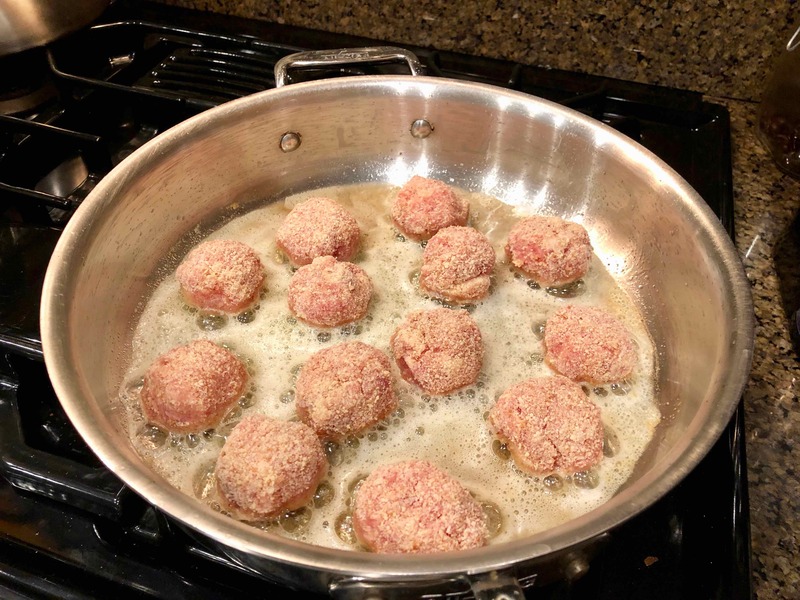 The meatballs are browned in butter, which yields the fat and most of the flavor for the tomato sauce. 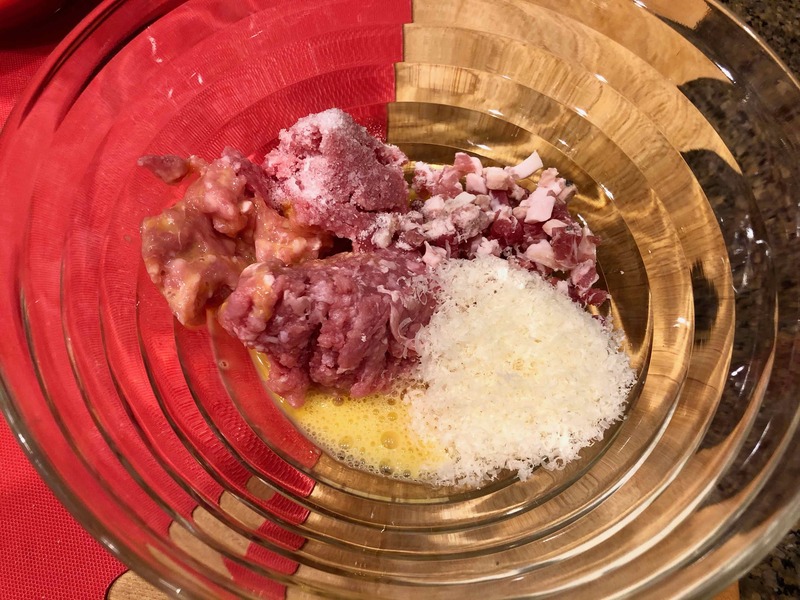 Salt and pepper are the only seasonings, while prosciutto and Parmigiano add flavor to the veal. 2. Shape teaspoons of the mixture into little balls. 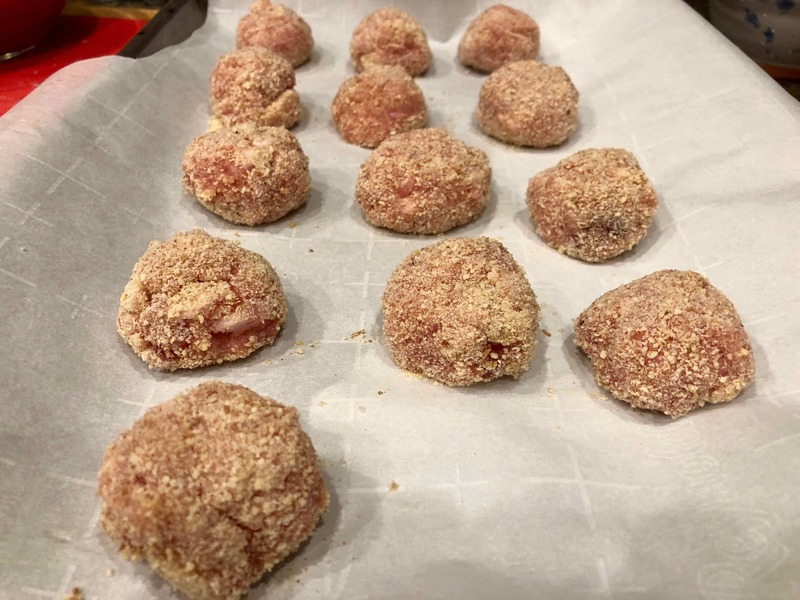 Roll in the bread crumbs. 3. 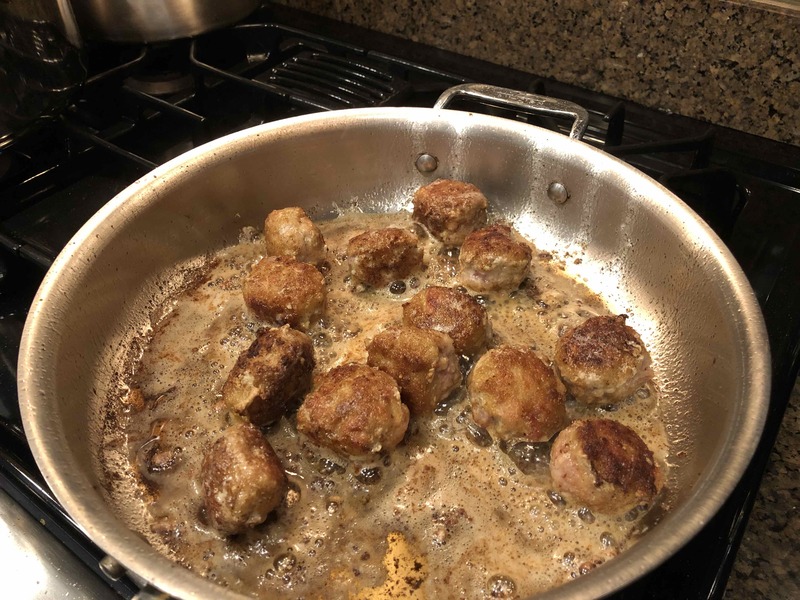 Melt the butter in a saucepan; brown the balls in it. 4. Add the wine; cook until absorbed, add the tomatoes, pepper and remaining salt. This dish is served as a main course. 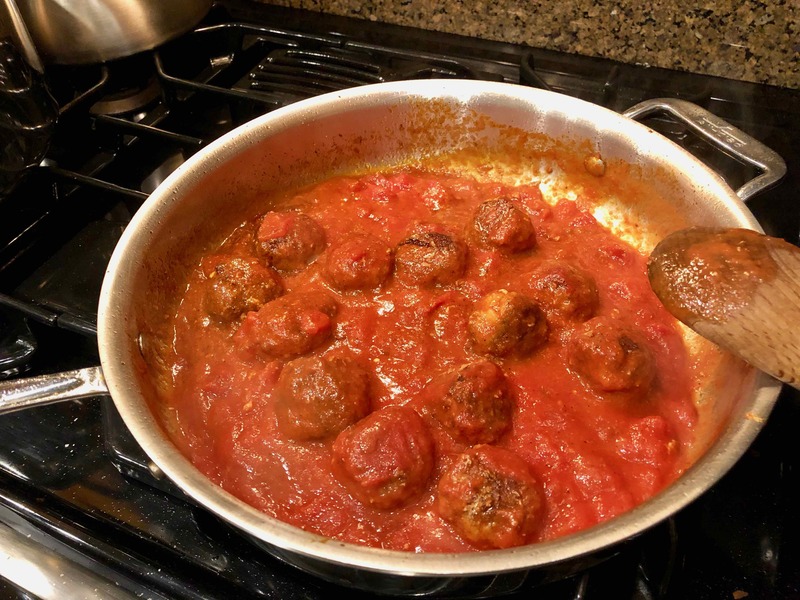 You’ve just made the perfect Italian meatball recipe. I know because that’s very close to my goto recipe. Back in the 50s when I was a kid we also rarely went out, but when we did it was also Italian, Italian of the southern type. 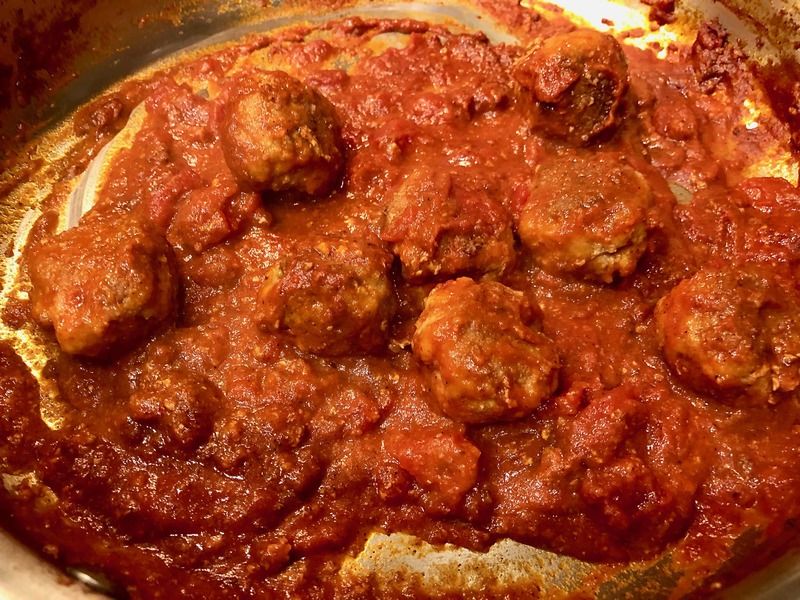 When I was older and begin traveling for business I tasted Northern Italian food and have been cooking it for years. 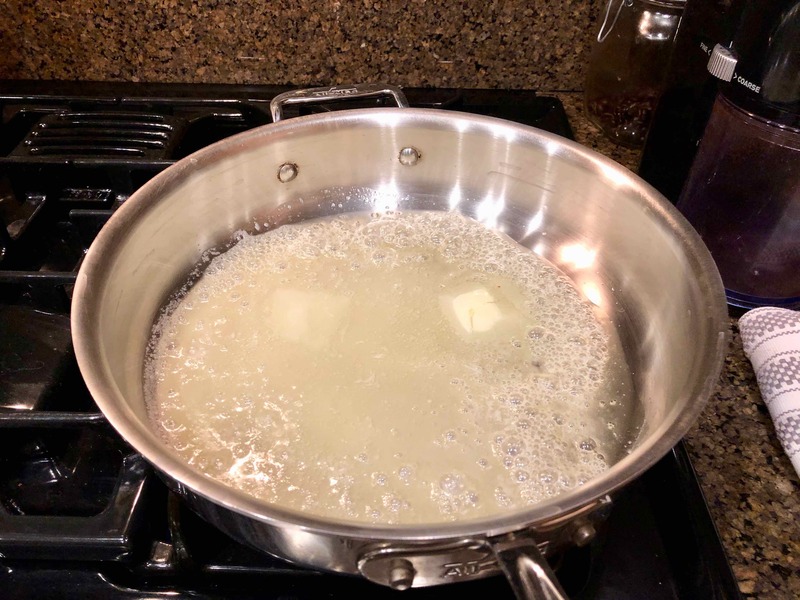 Like you I almost always add some OVO instead of all butter. Thanks, Ron. 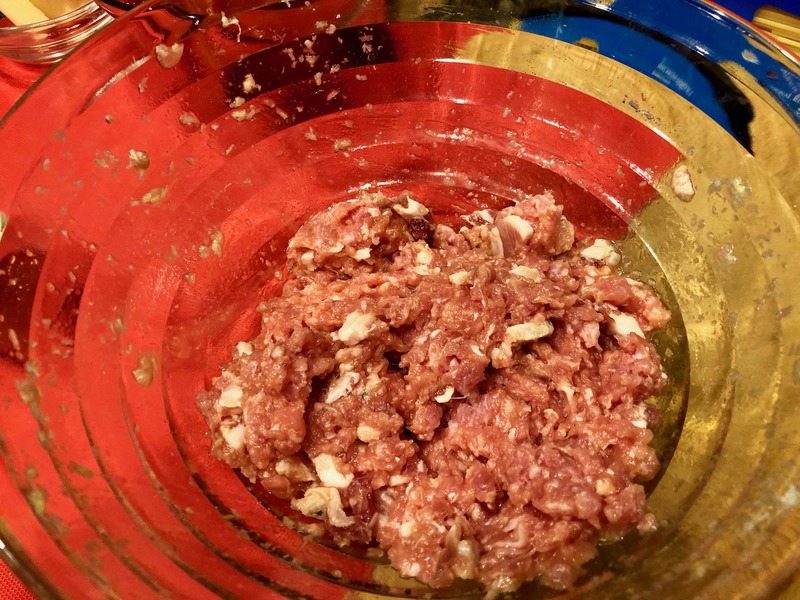 It’s such a simple recipe but yields plenty of flavor.